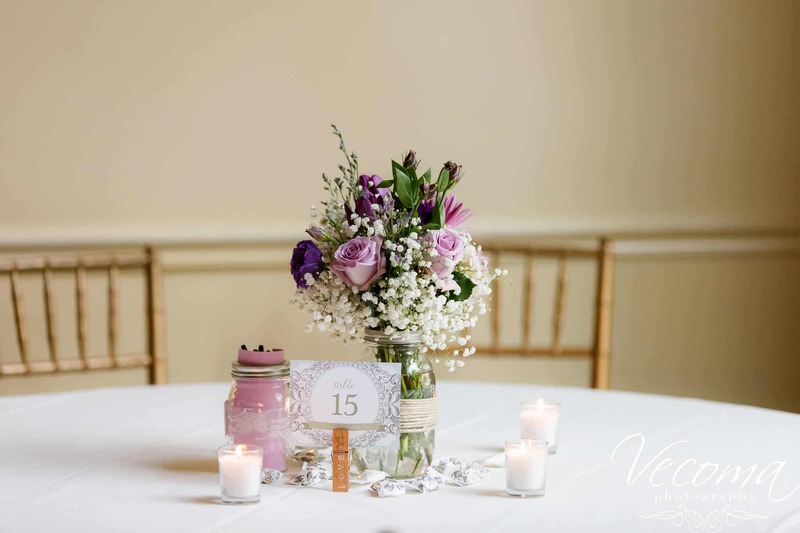 Lindsay and Dave had a charming and creative ceremony and reception the evening of April 30, 2016. Tons of gorgeous DIY decor enchanted their guests and made this a truly one-of-a-kind event! 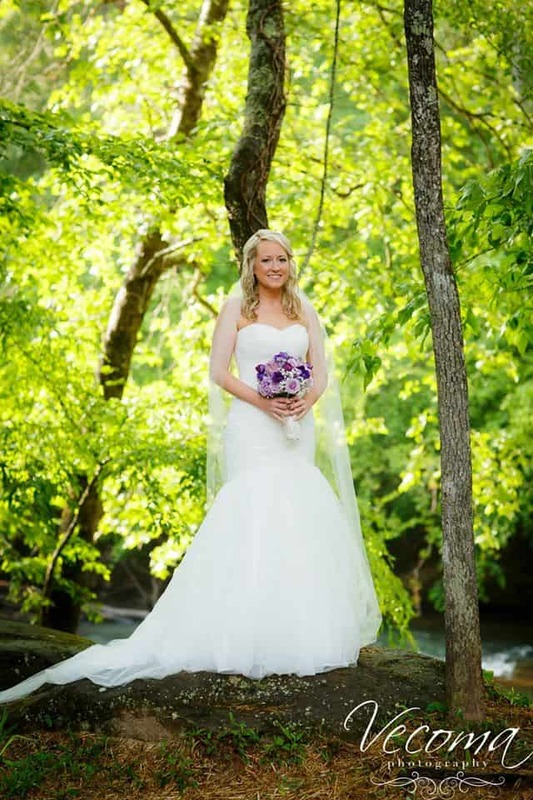 Lindsay looked breathtaking in a ruched white strapless dress that allowed her natural beauty to shine through. 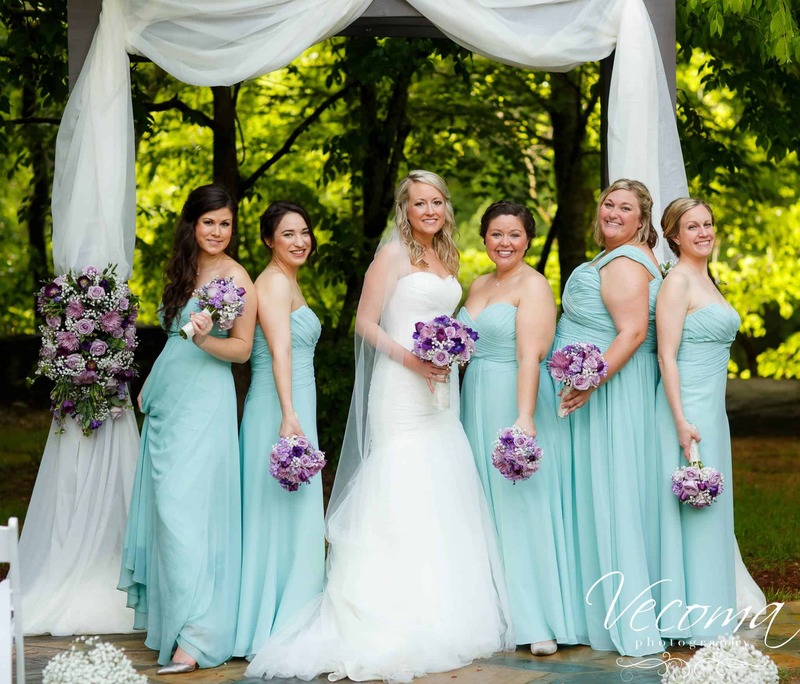 Her colors, lavender and pale blue, were perfect for spring and lovely on each of her bridesmaids. 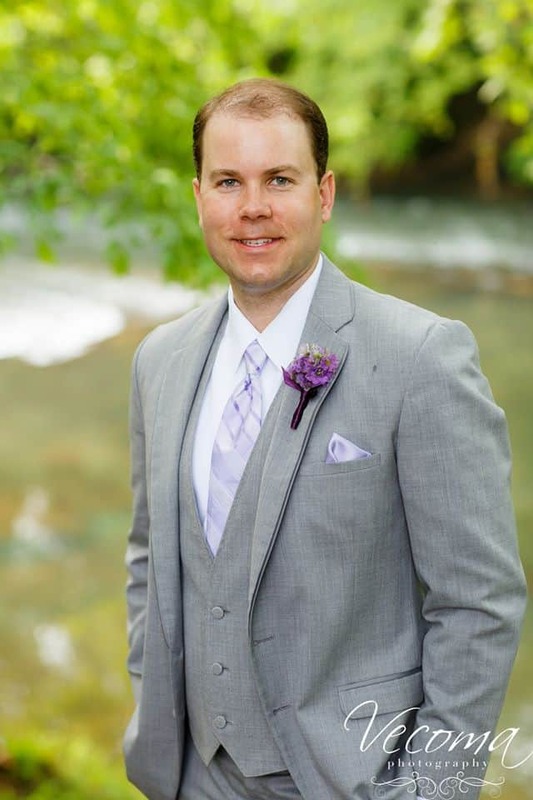 Dave looked handsome as well in gray with lavender accents. His look was formal without being too stuffy. 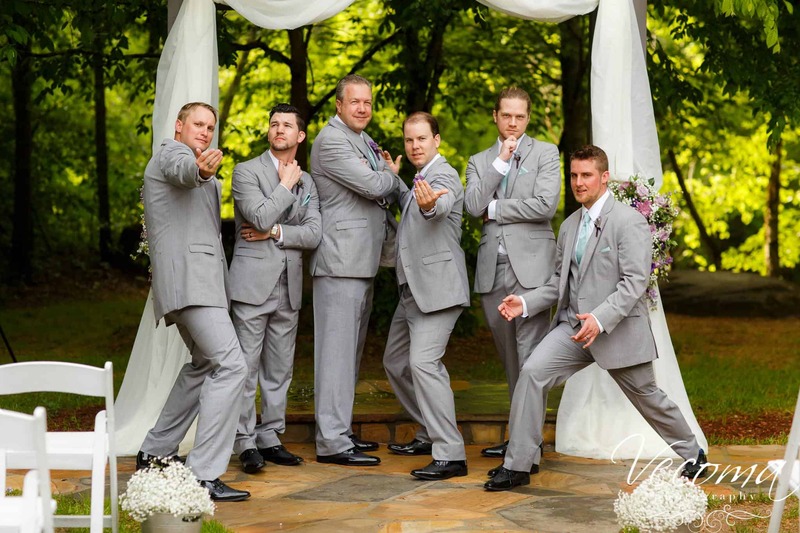 The rest of the guys looked great as well! 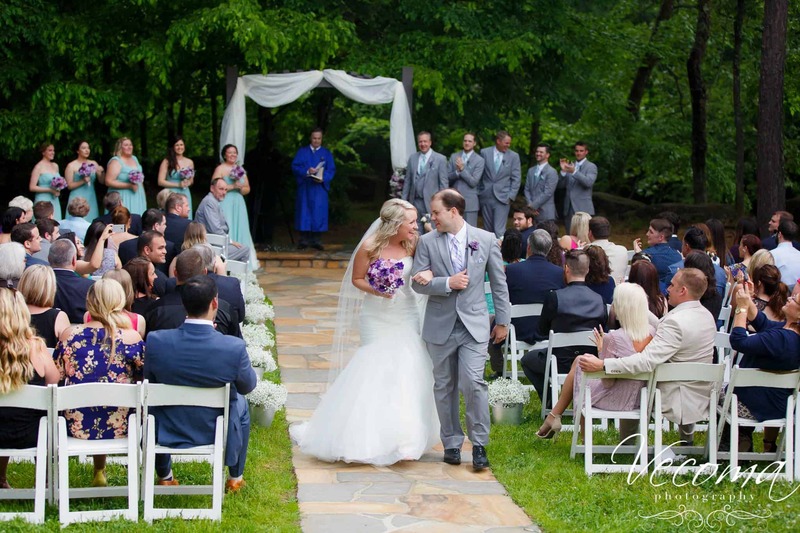 Their blue accessories were the perfect accompaniment to Dave’s lavender. We love the personality of this shot! 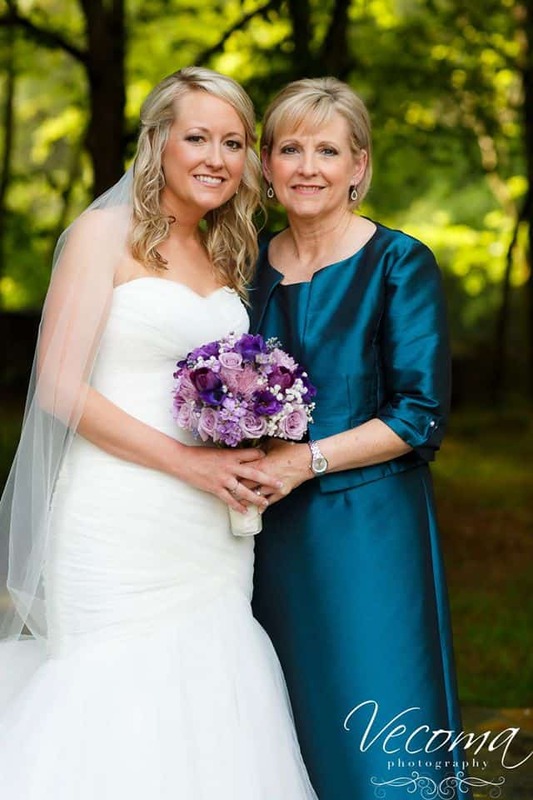 This mother of the bride look was perfect too. Deep blue complemented the other colors of the wedding without being too matchy. Before their nuptials, Lindsay and Dave had a sweet first look on the walkway! It’s always wonderful to capture the look on the couple’s faces when they see each other for the first time. 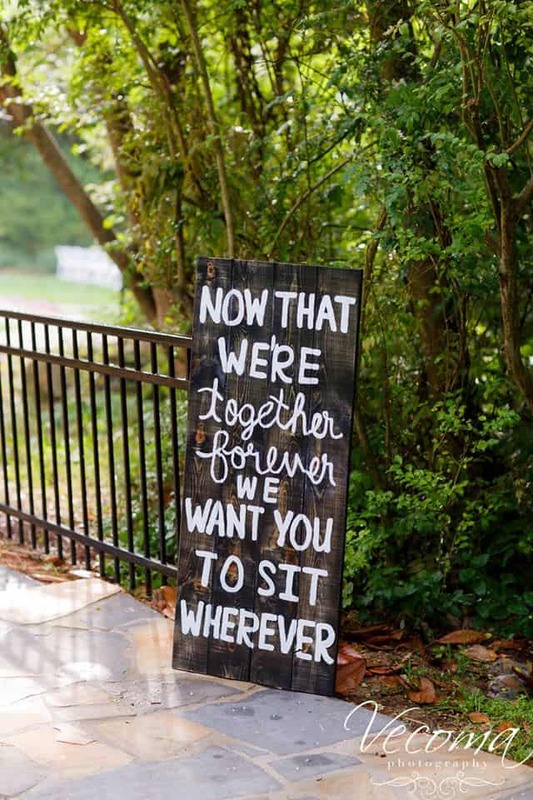 A hand-painted rustic wooden sign instructed guests to sit where they liked. 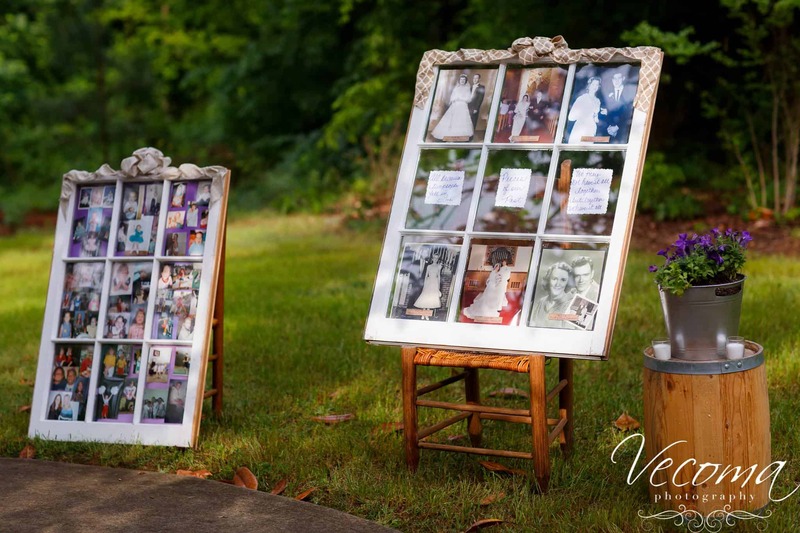 These old windows were upcycled to make the perfect photo display! Guests were entertained by this stroll down memory lane. 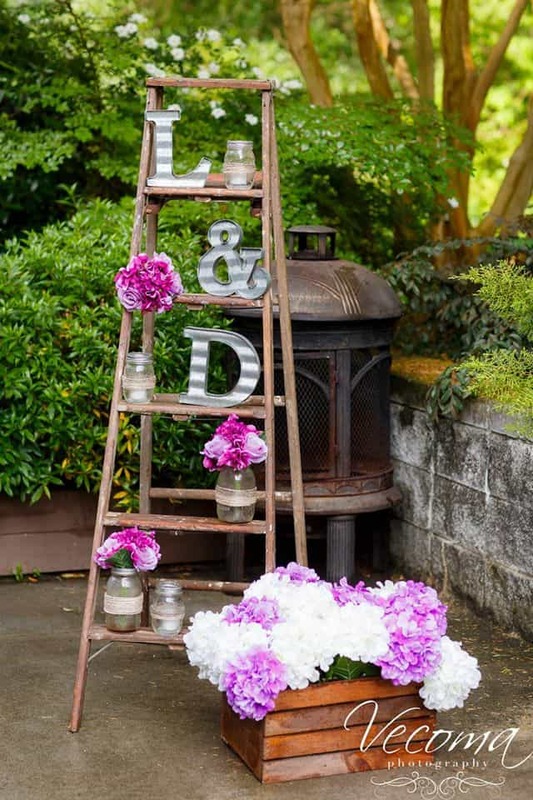 An old ladder is reused to make a gorgeous display tower for charming flowers in Mason jars and rustic metal monograms. This is a simple display that adds a dimension of height to the decor. Lindsay made these beautiful centerpieces herself. This beautiful feminine look was perfect for spring. 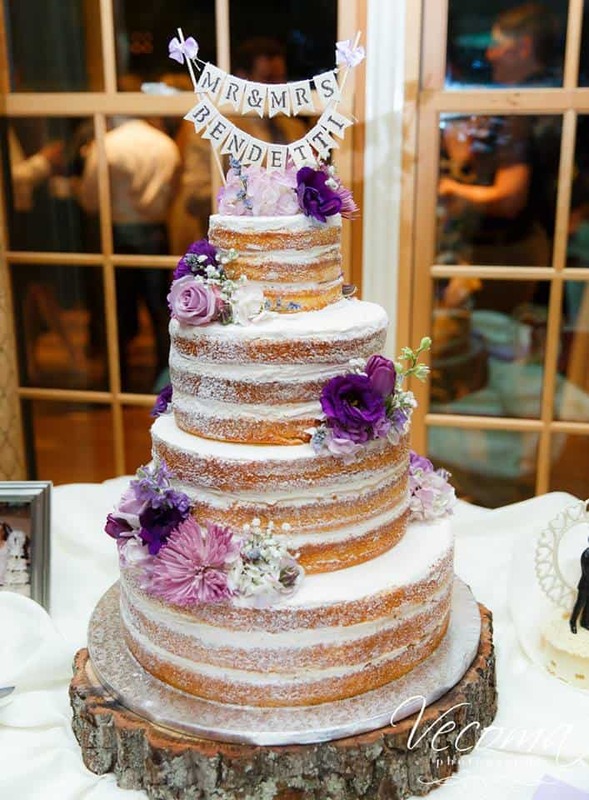 Naked cakes are popular for a reason- they look beautiful displayed on a table. This topper is too cute! 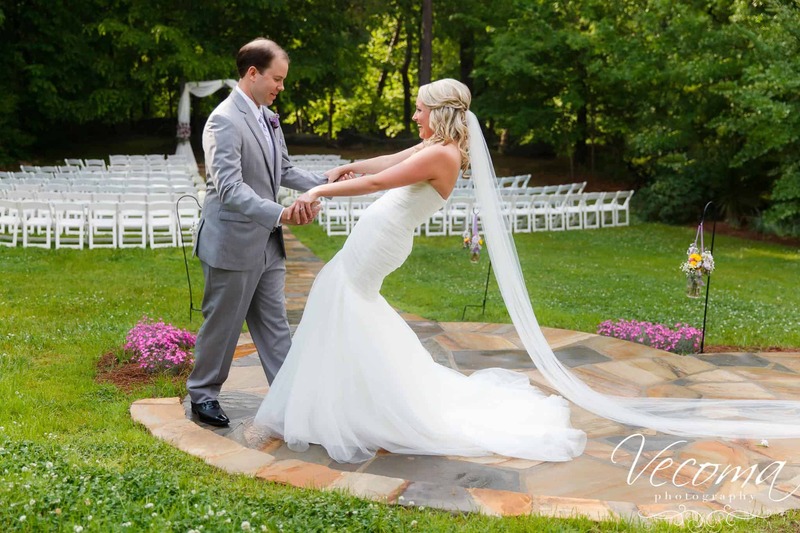 The weather was perfect for Lindsay and Dave’s ceremony, which they held in front of the rushing Yellow River. 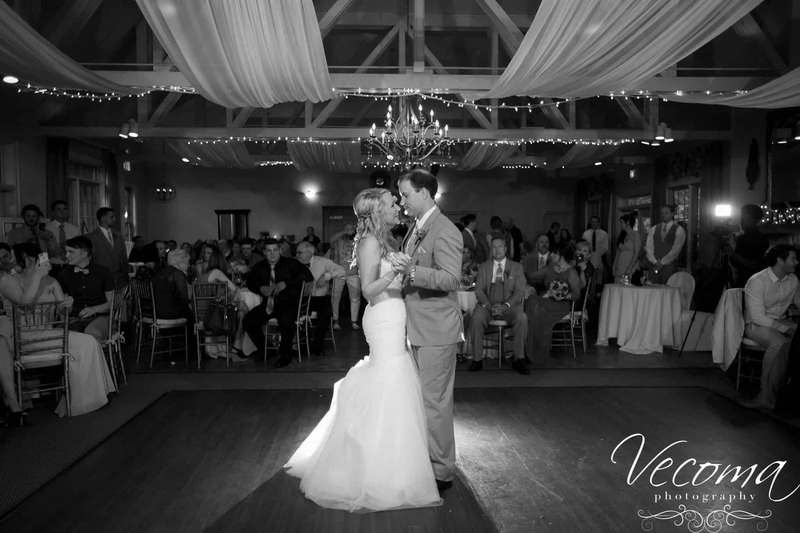 The happy newlyweds sealed the deal on the dance floor. Congratulations, Lindsay and Dave!